Ben van Beurden’s rise to the top coincided with the oil price riding the crest of a wave. But for a man who assumed Shell’s chief executive role just months before it all came crashing down, he sums up the last three years as “a blessing”. “Less than a year into my new role, the oil price started going down and it’s been quite a journey, but if I look back on it I think this is probably the biggest blessing that I’ve had,” he said. “It has done two things. First of all it provided a tremendous amount of focus on the things that needed doing. I mean, there’s nothing like a crisis to focus on cost efficiency. “Can we afford all the capital? What about the portfolio? Where are the weaknesses in the portfolio et cetera? “Upstream started feeling a sense of crisis because it was not living in the world of plus-$100 a barrel anymore. I think that helped with the focus. BG was on Shell’s radar for “several years”, but the sudden slip to sub-$50 oil helped pry that “window of opportunity” open even further. “There were a few mishaps in BG that really hammered their share price and we saw them coming into this funny situation where the share price came down, but we could only see the value go up so we needed to take a hardened look at it again,” Mr van Beurden said. 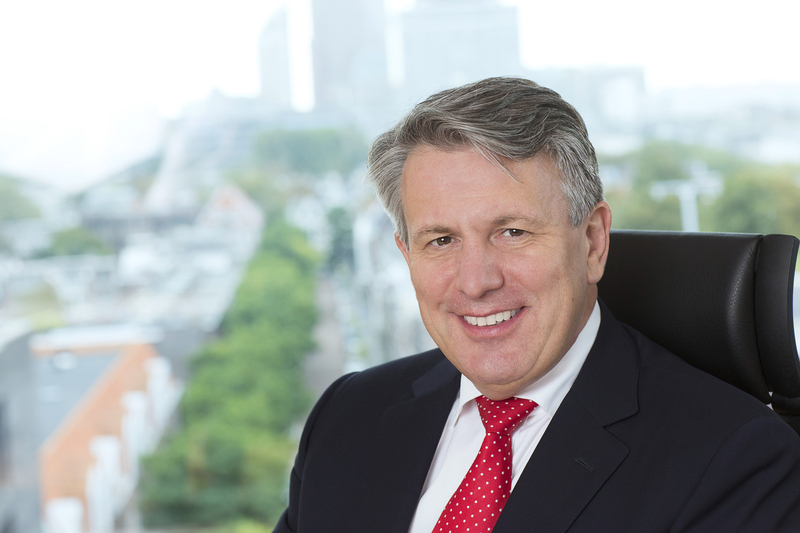 Since the mega takeover, Shell’s numbers speak from themselves, according Mr van Beurden, who sat down exclusively with Energy in his Hague office ahead of his Offshore Europe appearance. The oil major has taken $10billion of annual costs out of the business, made $20billion worth of annual capital reductions, sanctioned $10billion of new projects, undergone rigorous portfolio high grading and freed up $30billion of cash through targeted divestments. “We’re running at about $38billion of cash flow,” the company chief said. “That’s at $50 in the last 12 months. The last time we did $38billion of cash flow oil was at $100 a barrel. And Shell is just getting started, according to Mr van Beurden. “If you look a bit further out I think we will be astounding the market with our financial transformation,” he said. The operator recorded $5billion of cash surplus when oil hovered around $90. Mr van Beurden expects Shell to record $20billion to $25billion of cash surplus by end of the decade, thanks to the operating decisions it has made in the downturn. “That’s a four to five fold increase in funds to pay dividends from so it’s a major financial transformation,” he said. The company leader also expects a double digit dividend return by the end of the decade. “And I’m not counting on a big oil price recovery,” he said. “I think $60 is a reasonable assumption to make given where we are. Mr van Beurden said he has a “strong conviction” that there is more change to come. “If you look at breakeven prices of projects, now nothing gets sanctioned where the breakeven prices start with a four in the upstream. “The breakeven price needs to be in the $30s and in some areas we have breakeven prices well into the $20s,” he said. “If you had asked four years ago, ‘Do you think this is doable?’, people would say, ‘You know, maybe one or two projects’, but now it’s in everything. But to successfully drive the business forward and leverage the opportunities still to be had, Mr van Beurden has learned to tune out the background noise. He is less interested in waiting for recovery than he is on how he can use this “reset” to drive growth. “There is all sorts of analysis to suggest what’s happening, but nothing is right, nothing is correct. When it comes to the timing of recovery, Mr van Beurden added: “In my mind, there is more upside than downside if you look at the long run. “But first of all I don’t know how that will play out, because sentiment is going to be a much more powerful force in the interim. But what of Shell’s ability to future-proof itself? On that bet – he’s all in.